E!’s new local entertainment show, The Hype, hosted by Dominic Bowden and Ksenija Lukich, will begin in mid-October. Produced for Australian and New Zealand audiences it will cover celebrity, fashion and entertainment news each week. Ksenija will travel through-out Australia and New Zealand to deliver the inside scoop from the hottest premieres and parties. Co-hosting from the E! studios in Los Angeles, Dominic will provide his own insights on the celebrity and entertainment news of the week. They’ll be joined by media commentators, fashion experts and special guests each week to discuss hot topics and take a look at the latest fashion trends from red carpets to runways, providing tips and tricks on how viewers can get the looks for themselves. Dominic joins E! with an impressive track-record in television hosting. Currently LA-based, Dominic is the “Backstage Host” on the ABC Network’s smash hit, Dancing with the Stars. 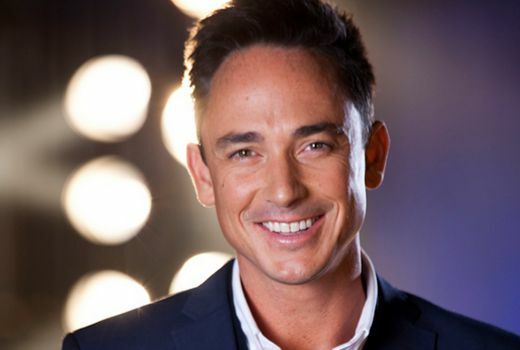 In his native New Zealand, Dominic is the currently hosting not one, but two of Media Works’ ratings’ juggernauts – The X Factor and Dancing with the Stars NZ – making him the perfect fit to co-host E!’s brand new show The Hype. Saturday, October 17 at 5:30pm & 10:30pm on E! Did you miss the fact that its also airing at 5:30 Pm? Wow E! 10.30pm Saturday. Way to give your only Australian show a great timeslot.